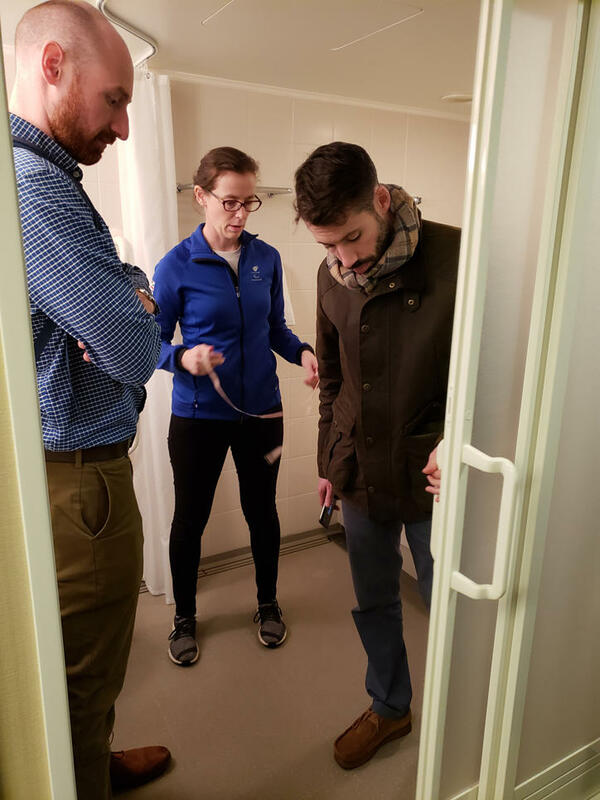 The accessibility facilities at Keio University were inspected last week ahead of the campus being used by British Paralympic athletes for their Tokyo 2020 pre-games training camp. On Thursday, February 7, Mr. Iain McKinnon, who is a Consultant Member of the National Register of Access Consultants in the UK and Director of Operations of the Global Disability Innovation Hub (GDI Hub), and Ms. Anneli MacDonald, the Preparation Manager from the British Paralympics Association (BPA), visited Keio University Hiyoshi Campus in order to assist with improving the accessibility of facilities at the university in preparation for ParalympicsGB’s athletes. 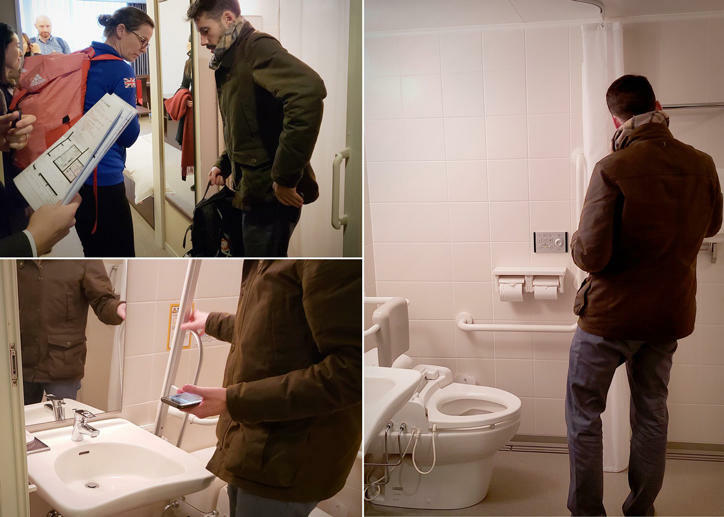 The expertise of Mr. McKinnon and his experience of the 2012 London Paralympics Games will be invaluable for staff at the Keio University Facilities Management and Procurement Services as they upgrade the university’s facilities in the run-up to the games.